Tag Archive | "Jennifer Harper"
School leadership is the process of enlisting and guiding the talents, energies of teachers, students and parents toward achieving common educational goals. The number one job of the superintendent is to lead learning. How have the CS Board and Dr. VanDuyn demonstrated and supported clear learning goals? To accomplish these tasks, it is imperative to work with teachers and students. School performance benefits from a collaborative approach to leadership, which includes sharing findings, failures, and concerns. Relationship building with our educators is essential to effective educational leadership, and it is vital to acknowledge, and support the roles and contributions of all. Effective leadership will create an educational environment in which opportunities for positive change are present and supported throughout the organization. What collaboration has occurred? How have the BOE and superintendent connected with our teachers—the most vital group impacting student learning? Culture is the underground stream of norms, values, beliefs, traditions, and rituals that have built up over time as people work together, solve problems, and confront challenges. This set of informal expectations and values shapes how people think, feel, and act in schools. This highly enduring web of influence binds the school together and makes it special. It is up to school leaders—superintendents, school BOE, together with staff to help identify, shape, and maintain a strong positive student-focused school culture. Without a supportive culture, reforms will wither, and student learning will suffer. Many folks have shared that our student and staff cultures are struggling. This is the clear job of the Superintendent and the BOE. They set the tone, drive and create positive culture. What clear perimeters have been determined for supporting a change in CSPS culture? Based on the number of people—57 in the last year and the 97 signatures of staff who are supporting a clear change for Cedar Springs—it would seem obvious to all that our culture is broken. In honor of those that have left and the teachers that are indirectly asking for help and support, vote yes for Ted and Mistie on November 8th. “Why have four administrators left since Dr. Laura VanDuyn was hired as Superintendent two years ago? Why has the culture at Cedar Springs Public Schools changed?” Those are the questions that many residents and school employees are asking the Cedar Springs Board of Education, while many other residents and school employees say they are supportive of the changes. The Board of Education heard both kinds of comments from a cross-section of residents and employees at Monday night’s standing-room only board meeting. Overflowing attendance has become the norm recently, as people on both sides of the issue yearn to have their voice heard. The administrators in question have all resigned: assistant superintendent of teaching and instruction Steve Seward in fall of 2014; Cedar Trails principal Jennifer Harper, early 2015; associate superintendent of finance David Cairy, fall 2015; and most recently, athletic director Autumn Mattson, in February, 2016. Her assistant AD Tyler Wolfe resigned in December. Van Duyn said Harper was put on paid administrative leave pending an investigation. “We have clearly followed our district’s legal counsel in the matter,” she said. Teacher Lisa Schmidt also offered support, noting that change is difficult, and that Dr. VanDuyn is well-liked by many staff members in the district. Resident Sam Gebhardt also offered his support to the superintendent and the board. “I graduated from here, raised my family here. I like the direction we are going right now. You hear a lot of negative comments, but a lot of people like it, too,” he said. Former teacher and coach Ted Sabinas, who taught for 34 years and coached for 37, asked the board to look into why so many teachers and administrators are fearful for their jobs if they speak up or question how the district is being run. Longtime teacher Mary Graf—a 39-year veteran—gave an impassioned speech to the board about her concerns with the changing culture in the district. She said she had heard remarks that the problems they are facing are because people are resistant to change, but she strongly disagreed. Graf noted that she had seen a lot of change over the years and hadn’t always agreed with it, but one thing remained constant, until now. “But through all of these challenges and difficult times, honesty and respect remained between the teachers, the school board, and the superintendent. Never did I experience the finger pointing, dishonesty, and disrespect that is currently permeating our school district. How does this type of culture help our students?” she asked. (Read her entire letter on here). Teacher Josh Cooper spoke on behalf of the teachers at the High School, and showed support for their administrators, Principals Ron Behrenwald and Anne Kostus, and said they were deeply saddened at the loss of former Dean of Students and Athletic Director Autumn Mattson. He also talked about all the good things happening at the high school. Resident Lee Mora asked the board when they were going to address Mattson’s appeal to the board for an exit interview. She had asked initially for an exit interview with the board of education, and since that is routinely done with human resources, was told by HR she could have an exit interview with them, but not with the board. She declined and appealed to the board. As of Wednesday, Mattson said she had not received a response from the board. Mora asked the board why they wouldn’t want to gather all information possible from an administrator who had served there 14 years. Board president Patricia Eary told Mora that their legal counsel had said exit interviews were not to be done by the board, because they have only one employee—the superintendent. (Read Mora’s letter on here). Board trustee Michelle Bayink asked if they could possibly discuss some of these issues at the next board workshop, but Eary said she thought the agenda for that workshop was already set. Resident Sue Wolfe told the board she hoped they would discuss some of these concerns. The Post contacted Board president Patricia Eary this week, and asked her whether the board was planning to address these concerns, whether at the next workshop, or through some other means, such as round table discussion with the board, superintendent, representatives of buildings, and the community. We also asked whether they would be responding to Mattson’s appeal; whether they wanted to know why these people left; and what did they think was the best way to restore unity in the district? Eary offered a general response for the other questions. “The Board of Education is committed to providing an excellent education for every child in the district. The Board of Education is committed to high expectations for excellence in all we do as a district. We hold ourselves and all others accountable and expect every person to work with integrity in all positions, whether the position be superintendent, teacher, administrator, support staff or coach. “The Board is listening to the community and is responsive to their concerns and will continue to be in communication with the community in the days and weeks ahead. “We believe our leadership team shares our commitment to our students and staff. Together we are confident the children and families are going to receive a great education at our district. “The Board of Education would like to express our deep appreciation for the outstanding and dedicated staff. The teachers, administrators and support staff work very hard to provide a high quality education for our students. They do so during a time when education and expectations to meet high standards is continually changing. We are proud of our staff members. See several letters to the editor about this issue here. Tell us—how do you feel about this? How do you think unity should be restored? Send your letters to the editor to us at news@cedarspringspost.com, and follow the guidelines (including word limit) on our Voices and Views page. NEXT WEEK: Long range financial outlook—could district be headed into the red? Longtime Cedar Trails Elementary principal Jennifer Harper with a student. The Cedar Springs Board of Education approved a resolution Monday evening to enter into a separation agreement with longtime Cedar Trails Elementary principal Jennifer Harper. Harper, who was co-principal with Mike Duffy, has been on paid administrative leave, and recently resigned. The reason for her paid leave and subsequent resignation has not been made public. Harper was originally hired to run the Parents as Teachers program, and then became co-principal with David Cairy. She continued on as a principal at Cedar Trails after Cairy moved to Assistant Superintendent. Andy Secor and Mike Duffy have served as co-principals with Harper. Secor currently is principal at Cedar View. VanDuyn said that Duffy would continue as principal at Cedar Trails and Harper would not be replaced. While Harper said she could not discuss the terms of her resignation, she did have a statement for parents, staff and students. “I have gladly dedicated my heart and soul to the students, staff and families of the Cedar Trails Community for the last 17 years. 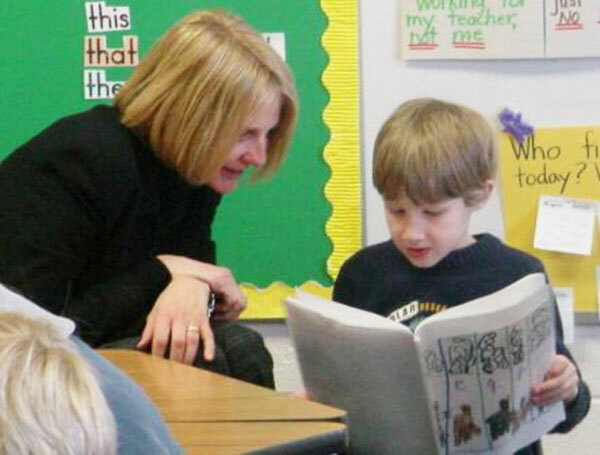 I have loved working with the staff, mentoring your young children, and have always supported high expectations for all. I wish only the best for CSPS and I pray for its continued success,” she said. The Post submitted a request through the Freedom of Information Act on Monday, asking for any emails, documents, and minutes referencing the resignation of Jennifer Harper. Harper is the second administrator to resign since the beginning of the school year. Assistant Superintendent Steve Seward resigned earlier this year.